Poised on the banks of the mighty Mississippi River, Dubuque provided a vital entry point for westward expansion. Explorers, Native Americans, fur traders, lead miners and pilgrims all played a part in the little-known history of Iowa's Driftless Region. It was Dubuque that contributed the first military company in the country for service at the start of the Civil War. Jefferson Davis made a foray into the city in pursuit of lead miners. And gangster Al Capone reportedly used the Hotel Julien as a retreat and hideout. 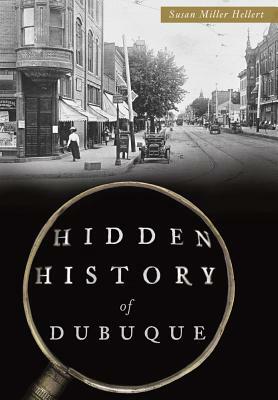 Uncover these lost stories and more with author and historian Susan Miller Hellert as she chronicles the fascinating and all-but-forgotten tales of Dubuque and the surrounding region.